Warning Note: Due to the dynamic nature of the Internet some of the links below may change or not work. 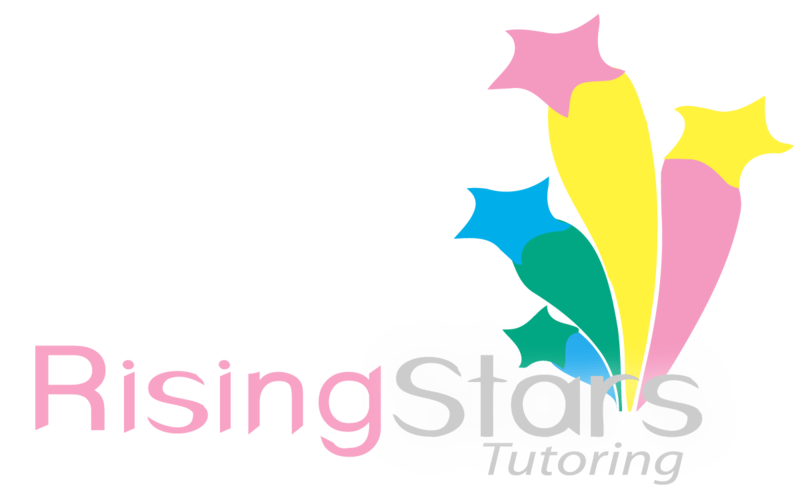 Rising Stars Tutoring is not responsible for the content on these sites. FunbrainEducational games by grade level. ADAPTED MIND MATHAt AdaptedMind, your child can practice math skills and learn with videos. And with membership, they can earn fun prizes, track progress, and print worksheets. As a member, AdaptedMind will customize learning for your unique child. AdaptedMind learns about your child as they practice and selects lessons, videos, and problems to maximize their improvement. A Plus Math for Kids This web site was developed to help students improve their math skills interactively. Visit our game room and play exciting games like Matho and Hidden Picture…Test your math skills with our Flashcards! Try out the Math Word Find puzzle. Create and print your own set of flashcards online using the Flashcard Creator! See the Worksheets section, where you can print worksheets to practice offline. Try the Homework Helper to check your homework solutions. Find out What’s New! << MATHO now available for Android Phones and iPhone/iPod Touch. Math Connects A Macmillian McGraw-Hill math practice-online tools, activities, and assessments by grade level. Cool Math 4 Kids fun math games Choose by game type, strategy, skill, numbers, shapes/colors, ages, and much more. Math Exercises Online competitions, exercises and maths games by age and ability level. New : you can use Math-exercises-for-kids.com on smartphones and tablets. Math Playground Welcome to Math Playground, an action-packed site for elementary and middle school students. Play a math game, solve a logic puzzle, and have some fun! Play with numbers and give your brain a workout! BOOK ADVENTUREBook Adventure is a fun, free way to motivate your child to read! Kids in grades K-8 can find a book, take quizzes on what they’ve read, and earn prizes for their reading success. Start your reading adventure below or explore the site. Character Scrapbook Great, fun tool for comprehension. Read a book, then create a scrapbook page to describe your favorite character! Clean up your grammar A fun recycling game that helps you learn new vocabulary and improve your grammar skills. Dog Lovers Read Stories about dogs and change the endings of the stories. Hedgehog Books Need help picking a book for a particular grade, check this site out! Story Line Famous celebrities read great literature all on line! Fun suggested activities are provided with each story. Literacy Center Wiki Learn letters and letter formation, numbers, shapes and do word work here. Weekly Reader Reading and critical thinking by grade level. Literacy games for the beginner, intermediate, and advanced reader! Fish them up! Reel in some word endings with this fishing game! Spelling and Vocabulary Brush up on your spelling skills and have fun with these language games! Language Arts Games Toon University-Whether your child has to catch up-get ahead, or stay ahead, this is the resource. Access all grade levels. Scholastic News for Kids Online Read all the News…Stay up to date! Snowflakes Make your own snowflake! Spelling Crossword Puzzles No Hints….No Looking At Answers!! StudyIsland Web-based instruction, practice, assessment and reporting built from YOUR state‘s standards. Rigorous academic content that is both fun and engaging. Research-based with proven results for all students. Author Dave Pilkey’s Site Lots of Fun! WARNING: This website contains scenes and material which may be considered too silly for grown-ups, small animals, and many varieties of houseplants. If you are a grown-up, a small animal, or a houseplant, we strongly urge you to seek the permission of a kid before browsing this site! ABCYA ABCya.com is the leader in free educational kids computer games and activities for elementary students to learn on the web. All children’s educational computer activities were created or approved by certified school teachers. All educational games are free and are modeled from primary grade lessons and enhanced to provide an interactive way for children to learn. Grade level lessons incorporate areas such as math and language arts while introducing basic computer skills. Many of the kindergarten and first grade activities are equipped with sound to enhance understanding. Fun children’s Holiday activities are available in grade level sections! Apple, The New York Times, Disney Family Fun Magazine and Fox News have featured ABCya.com’s award-winning games and apps. Alphafriend Songs Great for Kindergartens! Scholastic Word Girl This superhero can help you learn vocabulary and EVEN your spelling words! 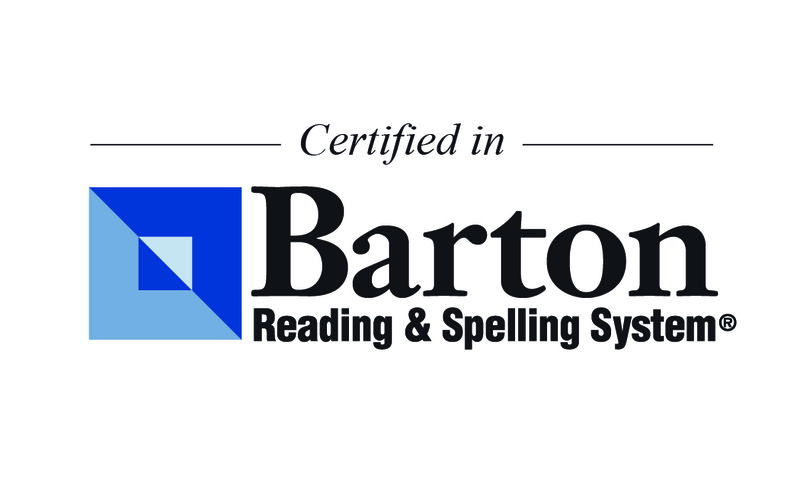 You can type them in and she will personalize fun games for your spelling test practice! Disney Channel Watch your favorite episodes online now! Puzzlemaker Make your own Word Search! Enchanted Learning Need to find something, check out this fun kids site. PBS Kids Play and learn with PBS Kids! Learning Games Educational games are a great tool for building foundation math and language skills that today’s elementary school curriculum requires. These online learning games and songs for kids are fun, teach important skills for preschool and elementary school kids and they’re free. Want educational games that help build skills in math, language, science, social studies, and more? You’ve come to the right place! Enchanted Learning A great website full of educational games and information. EDUCATION.COM All kinds of wonderful information about grade level, milestones, and activities. Parents, you’ll love this site. Switcheroo Zoo Switch and change animals to create wacky animals! Discipline Help Tips on how to handle your child when he/she is misbehaving at home or school. Learn to Type For beginning typers. Level 2 Typing Learn the home row and spell words. Level 3 Typing Using home row keys and starting to type sentences. Level 4 Typing Be Warned! You better know your letters!! Ben’s Guide to US Government for Kids A fun and interactive way to learn about social studies from a great past US Presidents and Ben Franklin! Sports Illustrated for Kids Fun for boys and girls! PBS KIDS EEK WORLD Learn about how we can protect the earth’s air and water. Earth Day – Garbage and Recycling Learn how to recycle. Foss Science Our science adoption link with some fun activities for the kids. Draw a Stickman An adventure awaits you and your stickman. All About Your Eyes! Annie’s Unite For Sight Website For Kids. Find out how your eyes work. Attention Future Olympians Enter your name, choose your sport, and have a lot of fun! School Readiness Tips How do you know when your child is ready for kindergarten? Starfall.com is a site that provides a variety of truly excellent resources. Phonics Lessons teaches phonics and then uses Starfall.com for further practice and additional reading activities. Joy-of-Reading which is a website packed full of reading activities and information put together by a former school teacher with a passion for reading. ACE Kids – Games, activities, sci-fi, contests, links, parent info and more! Disney – The name speaks for itself! International Kid’s Space – This is an EXCELLENT site! Make sure you check it out! Kid’s Com – a communication playground for ages 4-15. Kidz – is a MUST VISIT site! It has tons of things to do…puzzles, games, contests, comics and much, much more! Internet Safety – Arizona Internet Crimes Against Children Task Force has information for parents to keep kids safe online. Lego – Play games and find out about the newest sets. Lifesaver’s Candystand – This site is absolutely loaded with things to do! You can spend hours here and still not see it all! A must visit site! Check it out! MCA Universal Playroom – Arcade, coloring, music and movies. The McGuffie Adventure Gang – contains online stories, music, games and more! Kid Friendly site award winner! McGruff Safeguard – This free site helps parents monitor websites to keep children safe online. The National Student/Parent Mock Election makes students and parent aware of the power of the ballot by actively involving them in a full-fledged campaign and national election. Reading Rainbow – from PBS online. Summer Fun – lots of fun things to do for kids who get bored during the summer. Warner Bros. Online – is slow loading, but a good site to find out about shows, learn about animation, etc. WWW 4 Kidz – has book and movie reviews by and for kids…contests, links and more. You Can with Beakman and Jax – an interactive site with answers to obscure science questions. Carlos’ Coloring Book – Just choose your picture and color away! You can save it too. 3-D KnowledgeLand – for toddlers – 2nd grade. Games, contests, science and more! LITTLE EXPLORERS – is a wonderful site! Preschoolers can surf the web easily using a picture dictionary. Garfield – It’s play time! Tons of fun, feline style, with a Garfield lasagna game, a trivia quiz, super screen savers and much more! KidPub – includes more than 8,000 stories written by kids from all over! Submit your own, add to theirs, visit KidMud chat and more! The Magic School Bus – TV show episodes, games, books, art gallery, news and more! MidLink Magazine – An electronic magazine for kids in the middle grades – generally ages 10 to 15. Browse through their interactive space to enjoy art and writing that will link middle school kids all over the world. MidLink is published four times each year: fall, winter, spring and summer. Kiddin’ Around – designed for middle school kids and teenagers. Great Kids – Read their stories, join in a discussion, visit their chat and tell your OWN Great kid story, even if it’s about YOU! Other interesting and educational sites. Animal Omnibus – Looking for information on a specific animal? Animal Omnibus is a list of web sources indexed by the name of the animal. For example, looking up African Elephant will produce a list of hyperlinks to sources with elephant information. Great site! Apollo 11 – Relive Apollo 11’s historic mission, travel back 25 years through time as you view some old images, listen to the sounds of a nation going to the moon and so much more! WormWorld – Part of the Yuckiest Site on the Internet. Find out about the worms in your yard, read interviews with some of worms exotic cousins and learn how worms act as nature’s recyclers. This is a really FUN site! Ask Dr. Math – All school levels! Submit your own question to Dr. Math! B-EYE – See the world through the eyes of a honey bee. Brain Teasers – Join the fun and get everyone involved in solving these brain teasers and puzzles. You don’t need to be a math whiz to solve these – all you need is some patience and, on occasion, a different way of looking at things. Grades 3 – 7+. Busch Gardens SeaWorld – Loads and Loads of information! Whales, penguins, turtles, sharks and more! Cat Fanciers – General Information about Cats and Cat Care, Cat Breed Descriptions, Cat Shows, Cat Clubs and Registries. Lots of info! Children’s Software and More! – Here you’ll find shareware and freeware for the Mac and PC, commercial demos, reviews of children’s software, and other fun activities for kids. Dinosaurs! – Brought to you by Honolulu Community College. Interesting photos and information on all kinds of dinosaurs. Discovery Channel Online – Loaded with cool info and facts! A must visit site! The Elements of Style – Grammar Instruction. Explorit Science Center – A hands-on science center for people of all ages. Located in Davis, California. Gryphon House Collection – A great collection of children’s books from Gryphon House Books. Kids Space: ER For Kids -Questions and answers to help kids protect themselves and handle emergencies. Offered by the Office of Florida Attorney General Bob Butterworth. The Learning Studio – Over 200 reviews of the best sites for science, art, and education. National Air & Space Museum – Smithsonian Institution. Map and Exhibits, News and Events, Educational Programs and more. National Geographic/Kids – PIRATES! Take a high seas adventure, find out about BlackBeard, Pirate Books and links to other sites on Pirates. National Wildlife Federation – Ranger Rick – Games, take a tour, camps, ideas, more. Neuroscience for Kids – Created for elementary and secondary school students and teachers who would like to learn more about the nervous system. Activities and experiments. The Nine Planets – A Multimedia Tour of the Solar System. Images, sound, movies and loaded with info on our Solar System. Safari Touch Tank – Learn about sea plants and creatures by clicking on them in the Touch Tank. Science Hobbiest – Cool Science, Amateur Science, Weird Science and more! Silly Billy’s World School of Computer Art – Learn to Draw. Stage Hand Puppets – On-Line Puppet Theater, learn to make puppets, tips, patterns and more. Staying Safe On The Internet: With Watson The Walrus! Superkids – The Parent’s and Teacher’s Guide to Software. Providing unbiased reviews of children’s software by parents, teachers, and kids. It’ll help you save money, and provide insights and advice that will improve your child’s chances for success! Tour Egypt – Color Me Egypt: Just for Kids. An educational site about Ancient Egypt and related ancient history during that era. This site has a coloring book which can be downloaded and printed. (Official site of the Egyptian Ministry of Tourism). Virtual Galapagos! – Take an extraordinary journey through wildlife and adventure with the TerraQuest Team. A MUST VISIT SITE for kids and parents alike! Volcanoes of the World – Learn all about volcanoes, where they are located, current eruptions and you can even ask questions! The Whirligig Farm – Whirligigs, windmills and kinetic sculpture. WWW Select-A-Dog – Learn all about the different breeds of dogs. Interesting facts and photos. White House for Kids – Write the President, find out about Bo the dog and lots more.